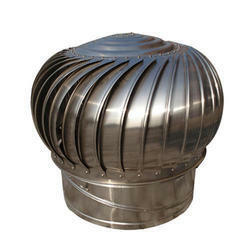 To meet the various requirements of the customers, we are involved in offering a wide assortment of Turbo Rooftop Air Ventilators. Enriched with years of experience in the industry, we are engaged in offering 2 mm Air Ventilator. Keeping the diverse requirements of customers in mind, we are instrumental in providing Glass Ventilator. We design these ventilators with sheet thickness from 1mm to 3mm along with a provision of stiffeners on the frame for extra strength. 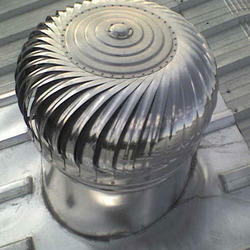 Mortar guard, holdfasts, anchor fasteners and safety bars can be availed with this range of ventilators. Moreover, we ensure that our clients avail from us these ventilators with steel or glass louvers as per their requirements.